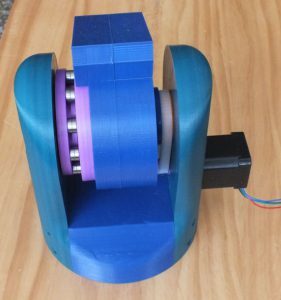 If a hypocycloid gearbox is driven quickly, the eccentric driving the cam will cause vibrations. An easy fix for this is to drive 2 cams, mirrored in their action. 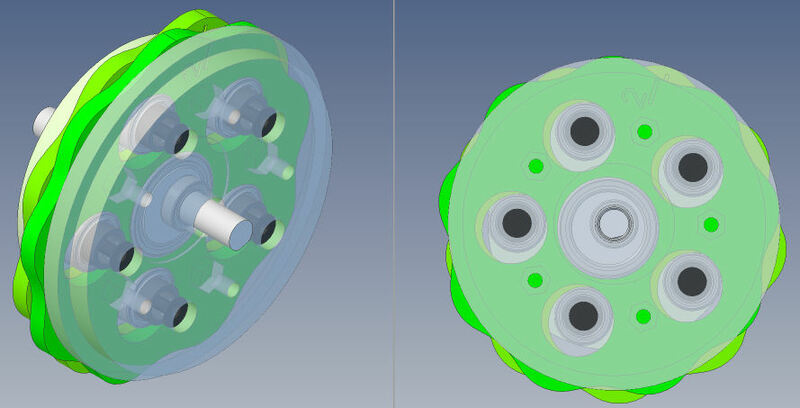 As there are now 2 cams, this means twice as many bearings, for both the roller pins, and the output drive. 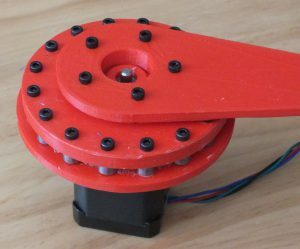 This model has 20 MR128 8x12x3.5mm bearings for the roller pins, another 10 in the output, 2 6702 15x21x4mm bearings on the eccentric, and 3 SMR106 6x10x3mm bearings holding the assembly concentric on the main shaft.